Some might like to be surprised when it rings at his front door: he opens without demand - and he may well experience an evil awakening. 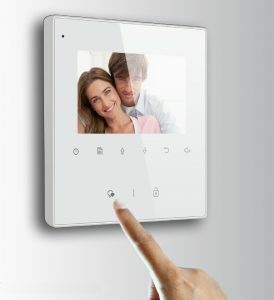 Whether dark figures or just annoying representatives are standing at the door: A door intercom system from Schick gives you the opportunity to identify your visitor in advance and avoid unpleasant surprises. 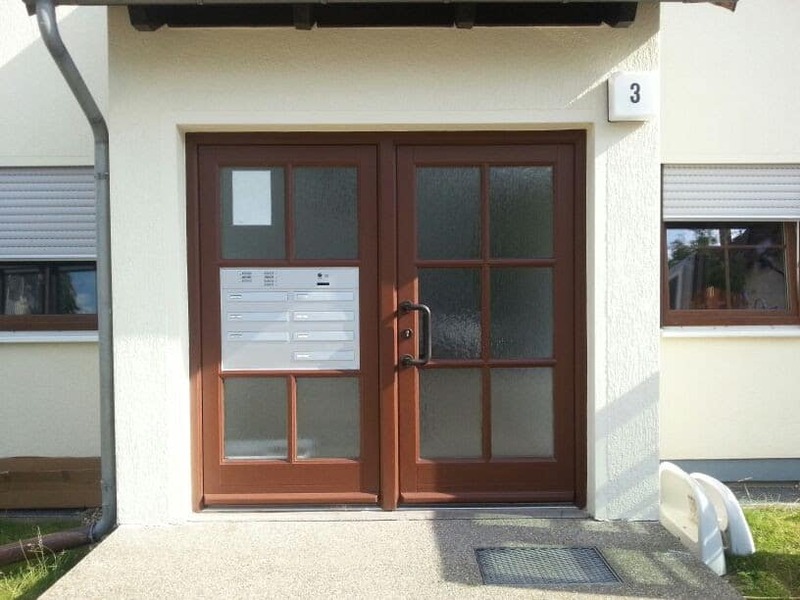 The installation of a door intercom system with 2 wire-BUS has proven to be useful in many respects. It is equipped with power supply, audio and video - if included - via the BUS and thus via two wires. The cable cross section should be larger than 0,75 square millimeters in order to ensure a stable signal in the intercom system. The routing and connection of the cables in a door intercom system with a BUS is very easy, since no polarity has to be considered. 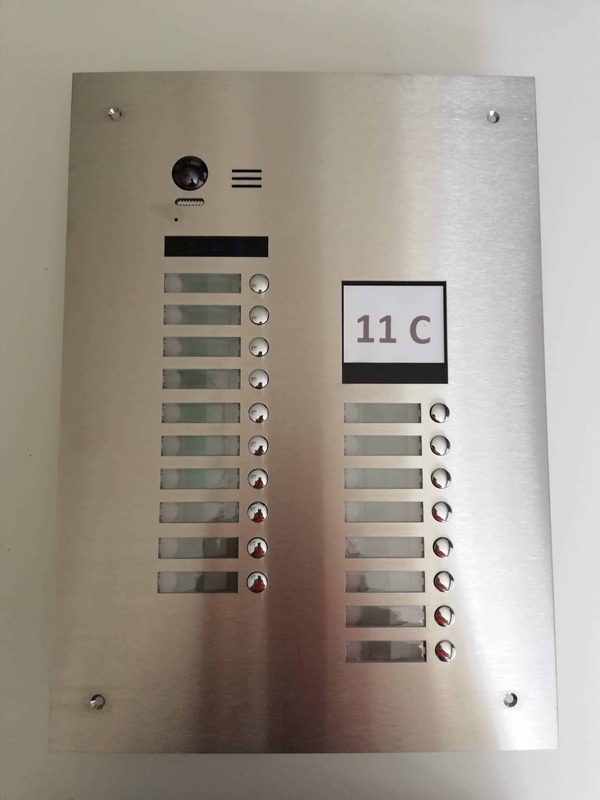 Each door intercom system is made up of different components, in which you can choose from different versions. So we offer you the door bells to our BUS intercom systems both as a surface mount (AP) version and as a flush (UP) version. 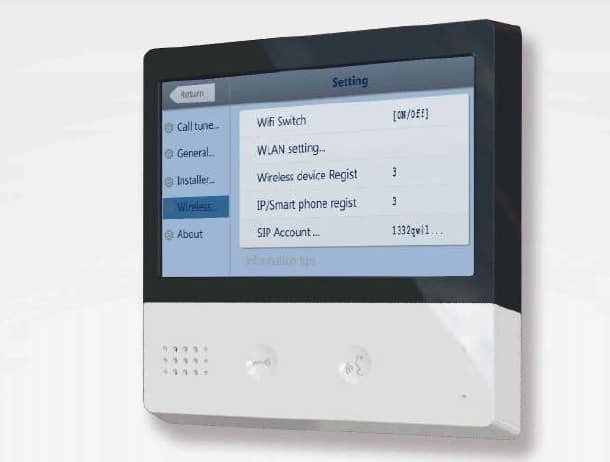 If you use a telephone module (TPC) via network interfaces, you can also interrogate your door intercom via the telephone landline. 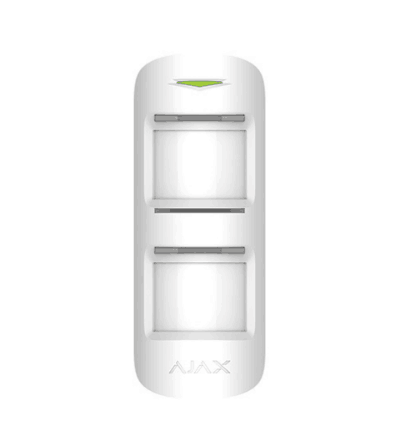 as well as four door bell sockets. In order to install an 2 or 4 wire door intercom system, a simple clincher wire is usually sufficient. 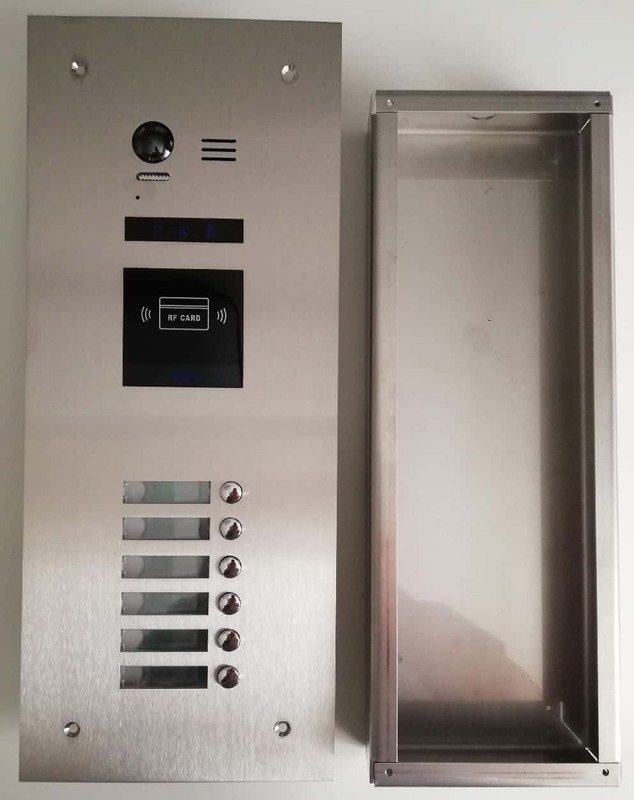 In addition to the mounting material you will find a detailed description of the connection and a detailed sketch of your intercom system. 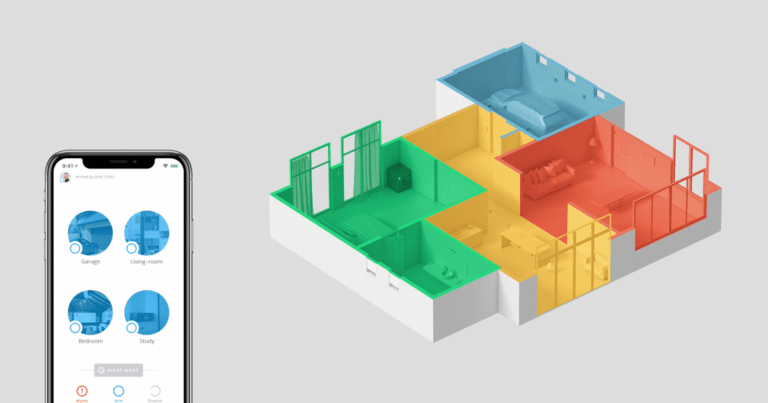 And even after a successful installation, you as a customer benefit from our individual "aftercare". You can always contact the professionals of Schick-Handel for the most up-to-date information on doors, intercoms, bells and more. 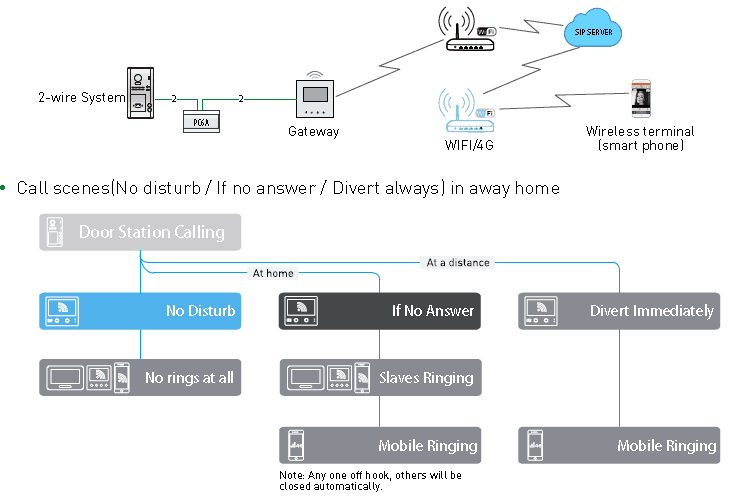 It is recommended to use a Video Door Phone a so-called 2 wire(DT) system. 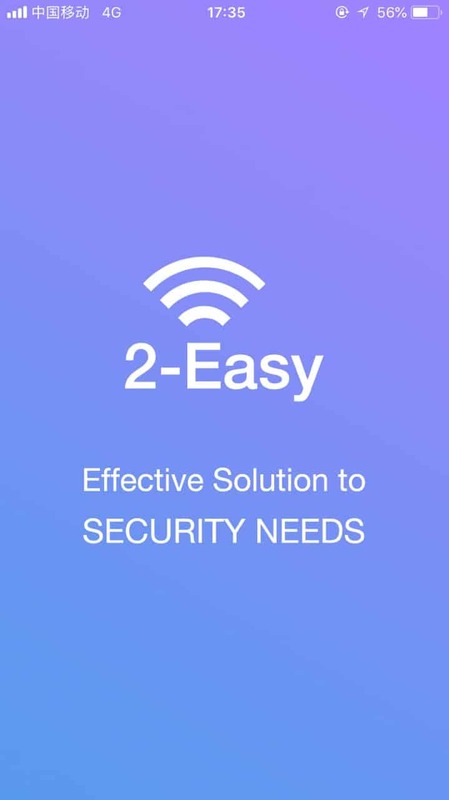 Here you can find out how it works in detail and what benefits are there for you. We also provide you with information about possible sources of errors during installation. Bei der modernen Video Door Phone with 2 wire-BUS von Schick-Handel werden Video, Audio und die Stromversorgung über den sogenannten BUS und damit über zwei Drähte realisiert. Der Kabelquerschnitt sollte dabei zwischen XNUMX und XNUMX Millimetern liegen, um ein stabiles Sprechanlagensignal zu gewährleisten. Ein großer Vorteil ist, dass das Verlegen der Leitungen dadurch denkbar einfach wird, denn es gibt keine Polarität zu beachten. The two wires are routed from the doorknob to the power distribution box (DPS powerwitch), from where corresponding signals go to the video intercom points in the residential units. 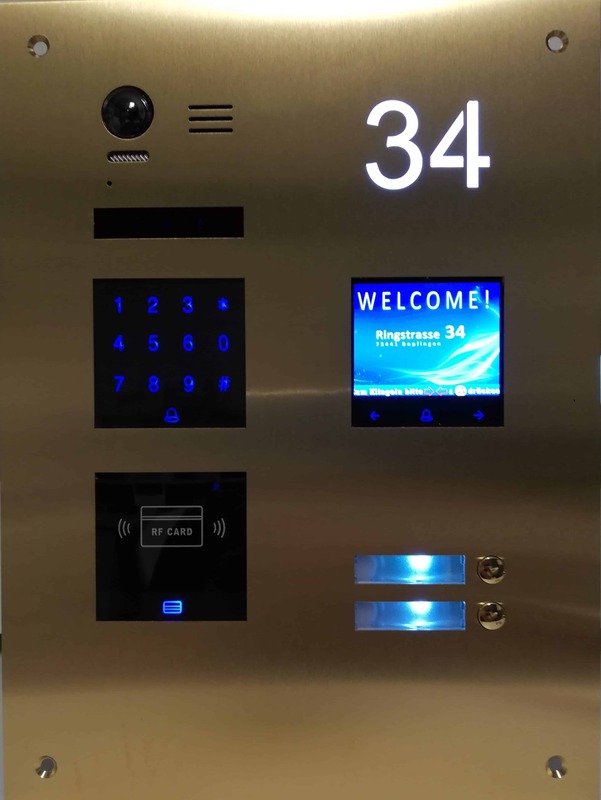 All devices of the respective intercom set are encoded by means of DIP code switches or via the master set-up menu and are identified by the coding from the door intercom system. 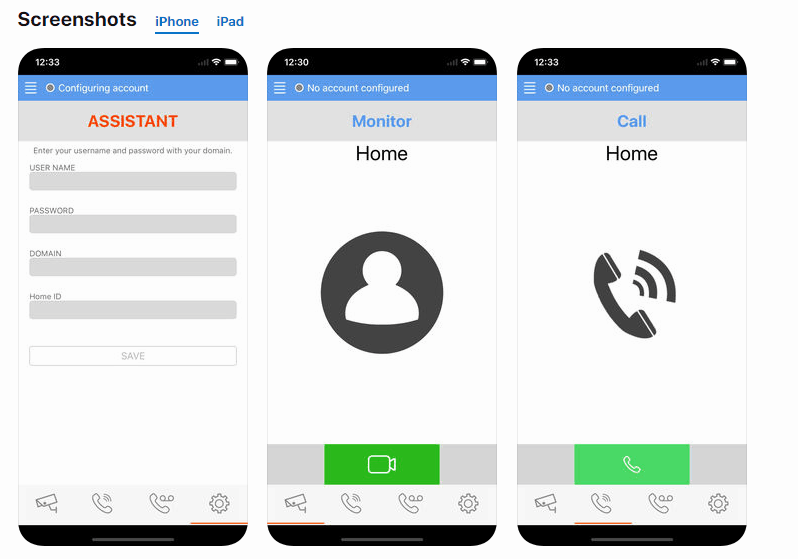 A further advantage is that thereby Video door phones with 2 wireBUS very easy to expand to up to 32 monitor video speakers and four doorbell call stations. When installing and using the Video Door Phone with 2 wire-BUS, there may be occasional errors. However, these can be easily avoided by observing all the instructions contained in the accompanying guide text. For example, the connection of an AC power supply (AC) is not permitted, because the system runs with direct current. If the thickness of the wires used is 0,75 millimeters, the transmitted image is usually very poor or the screen only flickers. 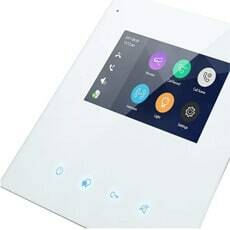 You will find an overview of these and other "symptoms" of the speech system Download, It will help you quickly find and fix errors in the installation of your intercom system.